Photo Taken on the banks of Torrens looking towards the Adelaide Oval. A group of skateboarders trying some tricks. Though this guy looked as if he had other things on his mind !! 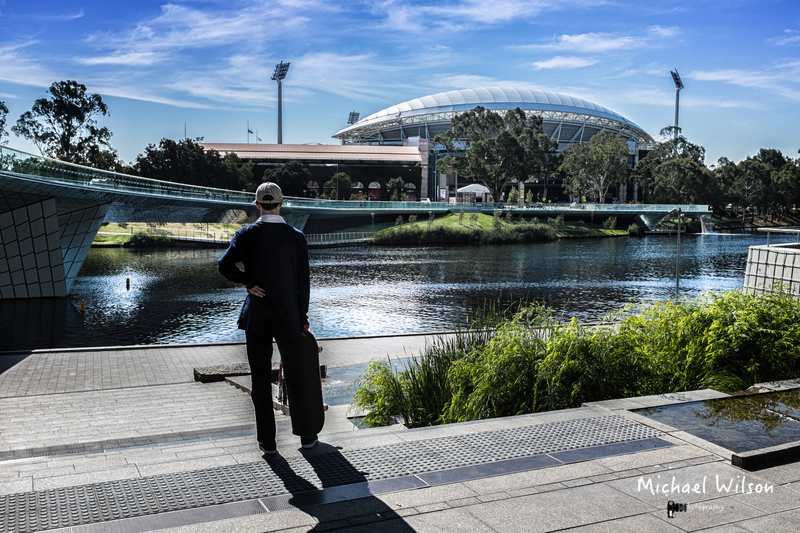 This entry was posted in Photography and tagged Adelaide, Adelaide City Street Scene, Adelaide Oval, Adelaide Street Photography, City, Foot Bridge, Lightroom, People, Photography, Street Photography, Torrens. Bookmark the permalink. You have to wonder what he is looking at.. I think he is looking towards his Future ! !